Learn to grow multi-season edibles in containers, raised beds, and other small spaces with Lewis Ginter Botanical Garden’s Heather Veneziano during her presentation “Growing Edibles in Small Spaces.” Heather will share some great ideas for how to grow an abundance of herbs, vegetables and edible flowers in gardens small and large. Springtime is honeybee swarm season! Join Leslie Bouterie, Monticello’s associate beekeeper, for a close look at the phenomenon of swarms. A wonder of nature, swarms can benefit both bees and beekeepers. Learn more about this fascinating natural occurrence: why swarms occur, what transpires during a swarm, what beekeepers can do to prevent or capture swarms, and what you should do if you spot a swarm. 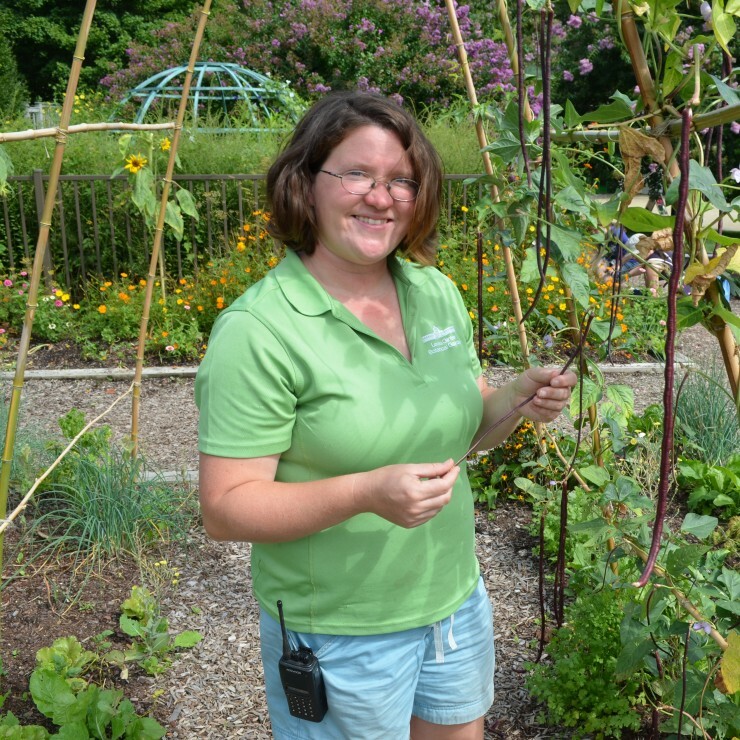 Heather Veneziano has worked at Lewis Ginter Botanical Garden in Richmond, Virginia, for over 10 years as the Children’s Garden Horticulturist. She is currently the Youth Programs Developer at the garden, where she works with teens of all abilities by using horticulture to help develop strong work skills. Leslie Bouterie joined the Monticello beekeeping team in 2015. After moving to Charlottesville from Washington, DC where she worked in museum education and development, Leslie soon became involved with Monticello’s apiaries. Her keen interest prompted research, continuing education, and enthusiastic participation in apiary projects and improvements. 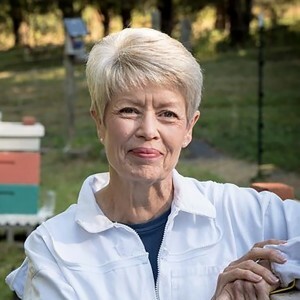 Despite the need to carry an Epipen, she is passionate about honeybees and is dedicated to fostering the Monticello Bee Projects and complementary Community Outreach.